A bird in the hand! 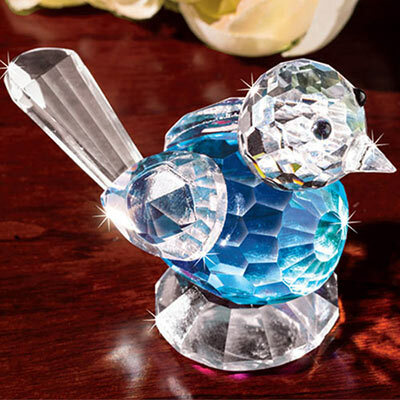 Our pretty crystal bird perches atop his clear base and delivers joy to everyone he meets. Features a faceted head and body that sparkle in the bright sunlight. Perfect addition to a bird or crystal collection. Makes an ideal gift for a dear friend or relative. 2¼"h.